Tankards are cylindrical shaped drinking cups with a single handle and may be made of silver, pewter, glass, wood, ceramic, or leather. Hinged lids and glass bottoms are common tankard characteristics. 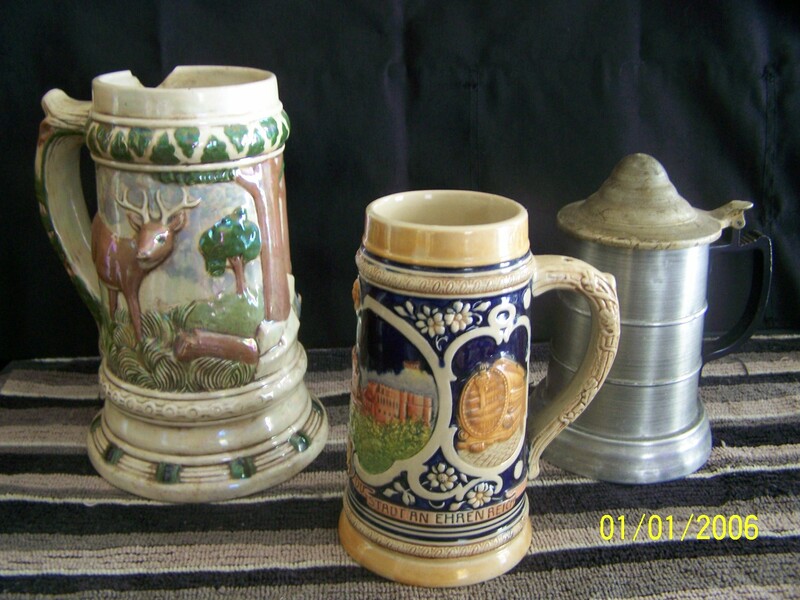 Steins are very similar to tankards in shape and use. During the Age of The Black Plague, to prevent diseased flees from getting into beer while drinking, lids were added to steins. Left : Ceramic without lid. Center : Ceramic without lid. Right : Pewter with lid and glass bottom.